We normally can perform inspections within 48 hours of request. Call 602-802-8795 or Email [email protected] to scheudle your roof inspection. 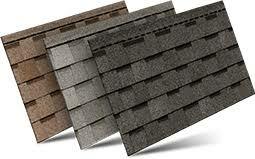 CDL Roofing, Inc. is entrusted to improve and add value to your property. Complete projects on time and on budget with complete job site supervision. We provide the highest quality services and products with efficient communication between CDL Roofing and our customers from start to finish. Our personalized service means that every customer has one representative that is available to meet their needs. From our initial consultation through the entire construction and final clean-up, your representative will be there every step of the way.